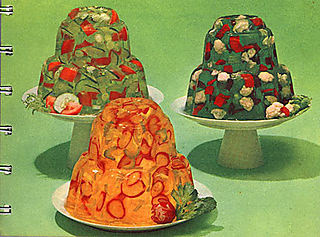 We noticed on Clint's blog that he asked what kind of jello salad we should have. Jordan and I found a couple of really good options! I look forward to eating one of these! Please make the yellow one with the green things... what are those? Olives? Lovely. I especially like the sculpted ones. 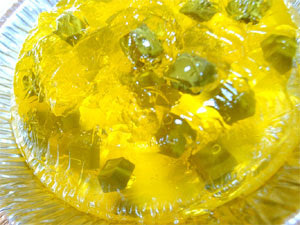 Try green jello with green olives and jalepenos! Then add a little miracle whip on top. Its a classic here in California!